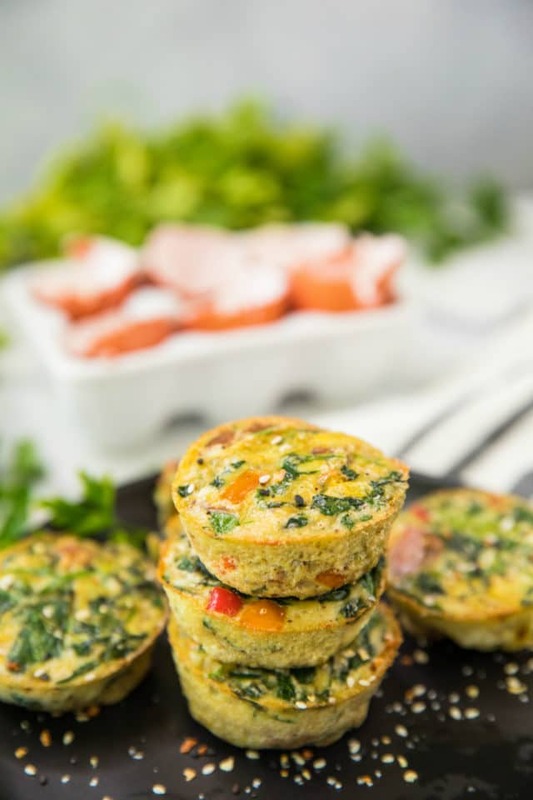 These Healthy Sweet Potato Spinach Egg Cups are loaded with protein and veggies. 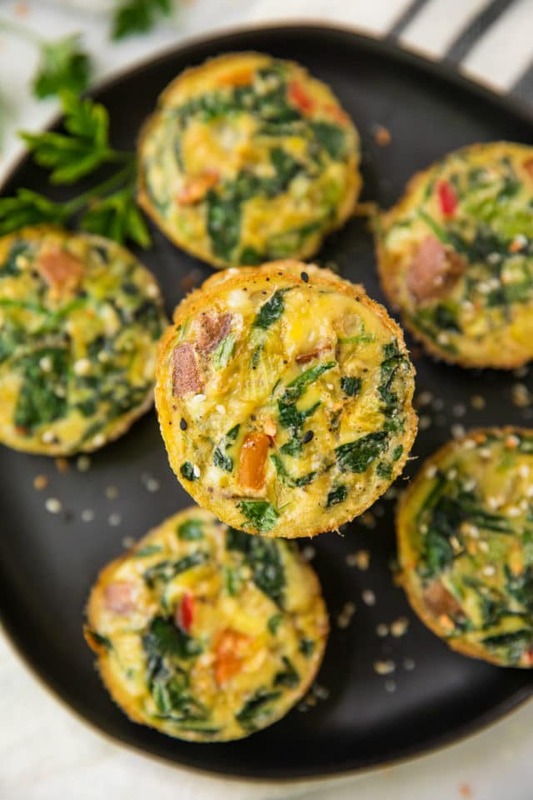 Make them at the beginning of the week for a quick, on-the-go breakfast option for busy mornings. 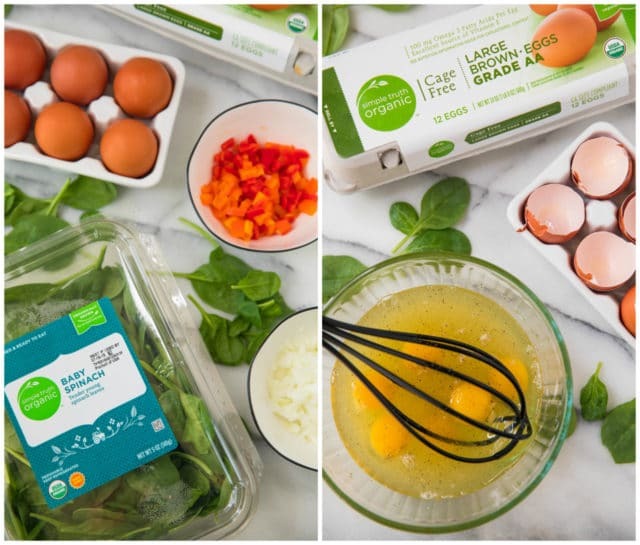 I teamed up with Kroger to share these tasty Healthy Sweet Potato Spinach Egg Cups. As always, all opinions are my own. It will be back-to-school for my kiddos in less than a month. Hard to believe… I know! When that time gets close, I always scour the internet looking for fun, new breakfast and lunch box ideas. I sure don’t want Madelyn getting back-to-school, in close quarters, around all of those germs and then getting sick. So, I try to keep meals nutrient-rich, with plenty of immunity-boosting ingredients. Spinach which is rich in vitamin C. It’s also packed with numerous antioxidants and beta carotene, which may increase the infection-fighting ability of our immune systems. Sweet Potatoes are loaded with Vitamin A. Your skin needs Vitamin A in order to stay healthy, and seeing as your skin is your body’s first line of defense against infections, you can see why you need more Vitamin A.
Eggs, and especially the yolks, are packed with immunity-boosting nutrients. Eggs contain a high amount of vitamin D, a vitamin that’s vital in regulating and strengthening immunity. According to a study published in the journal JAMA, participants who took a daily serving of vitamin D in the wintertime were less likely to catch a cold or any other upper respiratory tract infection in comparison to those who did not. Red Pepper contain twice as much vitamin C as citrus. They’re also a rich source of beta carotene. Garlic is loaded with allicin, a powerful antioxidant that is SUPREMELY effective at fighting off viral and bacterial infections. Garlic is a powerful antiviral, antifungal, and antibacterial remedy that has been used for centuries, and studies have found that eating more than six cloves per week can reduce the risk of certain cancers. Plus, they’re super tasty and something even picky kids will enjoy. Also, they couldn’t be any easier to throw together. 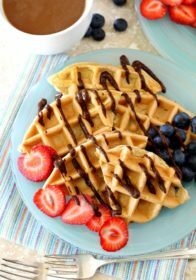 You can even make them on Sunday for a grab-n-go breakfast option to choose though the week. Including so many nutritious ingredients in these egg cups not only keeps us well, but I was also pretty stoked to see how high it elevated my OptUP score. 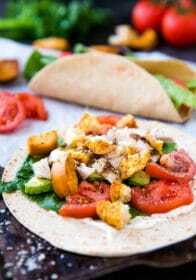 You may remember my Strawberry Spinach Chicken Salad Wrap and that post explaining OptUP. Have you had a chance to give OptUP a try? Kroger’s OptUP app guides you to find “better for you” options throughout the store based on recent purchases. In the app, your household dashboard allows you to see how you are doing with each shopping trip and ways you can improve what you’re buying. Items are scored 1-100 and are classified into three categories: green (71 and up) yellow (36-70) and red (35 and below) to help guide your purchase decisions. 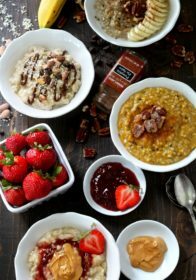 Products can earn positive points for having fiber and protein, and for being part of the fruit, vegetables or legume and whole grain food groups. These factors are also good indications of overall nutrient content too, like vitamins and minerals. Items receive negative points for calories, sodium, sugar and saturated fat. You want to aim for keeping your red category under 10%. 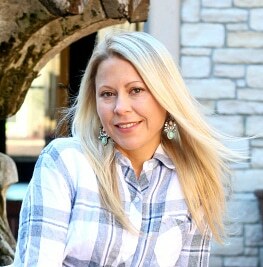 Such a great way to get a peek into the healthfulness of the foods you’re buying. Also, it’s kind of fun to be competitive with yourself and try to raise your score as much as possible! 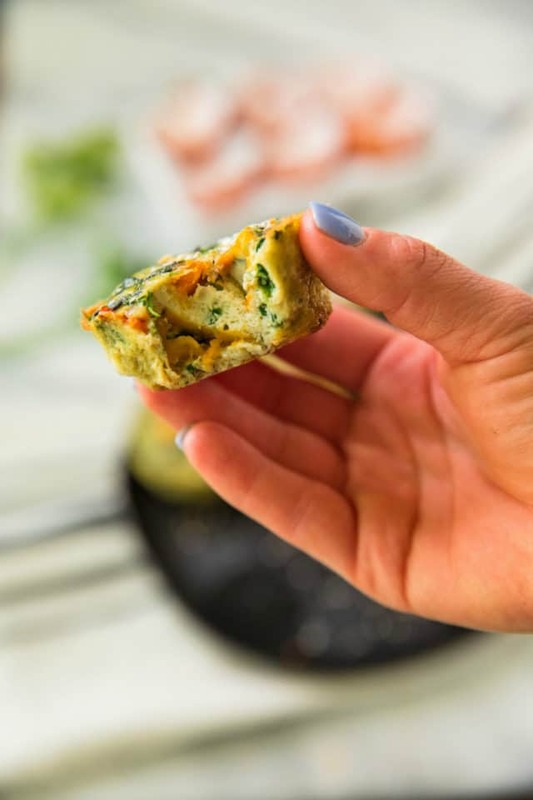 I have a feeling these Healthy Sweet Potato Spinach Egg Cups are going to be a breakfast staple at your house, I know we are going to make them time and time again! Enjoy! And be sure to check out the Wellness Your Way site for more healthy back-to-school recipes, tips and more! 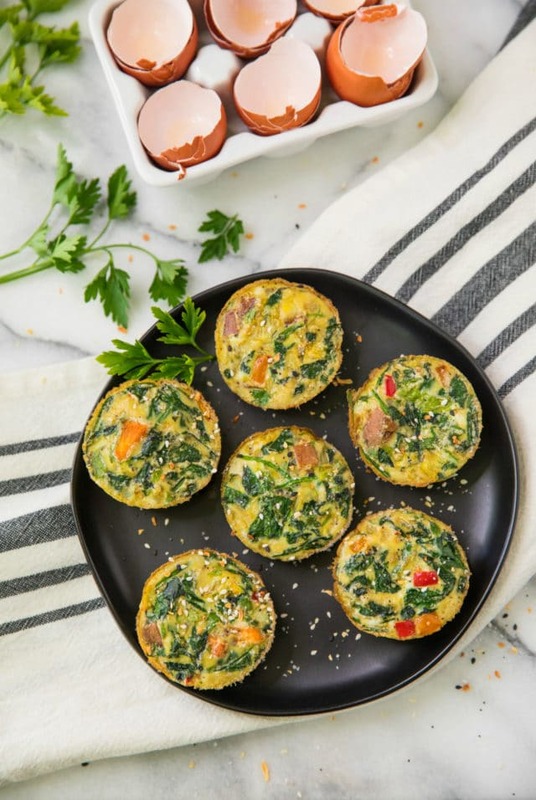 These healthy baked egg cups are loaded with protein and veggies. 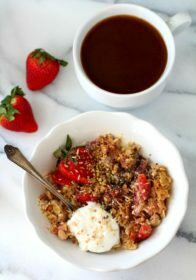 Make them at the beginning of the week for a quick, on-the-go breakfast option for busy mornings. Preheat oven to 375° F. and spray twelve-cup muffin tin with cooking spray or line with silicone baking cups. I sprayed my silicone baking cups with spray, just to be on the safe side. Place eggs and egg whites into a large bowl and whisk to combine. Season with salt and pepper. Meanwhile, heat a skillet over medium heat with cooking spray. Add in cubed sweet potato and cook for about 3 minutes. Next add bell pepper and onion and cook for about 5-6 minutes, until they’re a little soft and the onions are fragrant. Finally, add the spinach and garlic and cook for about 2 minutes and until spinach is wilted. Once cooked allow veggies to cool slightly so they don't cook the eggs. Once slightly cooled, add sauteed veggies into the bowl with the whisked eggs. Add parsley and mix well. Pour egg mixture into muffin cups evenly. I used a 1/3 cup measuring cup to pour each one. Bake for 17-20 minutes, or until the egg cups are no longer jiggly and an inserted toothpick comes out clean. Allow cups to cool and enjoy immediately. If prepping ahead of time, store cooled cups in a sealed container in the fridge. When ready to eat, you can enjoy the cups cold or pop them in the microwave for 30-60 seconds to reheat. 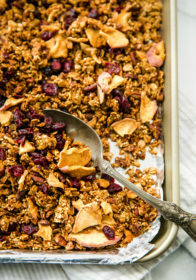 These sound delicious, and it’s always great to have something healthy to bring to work with me! Thanks so much and, yes, I totally agree! Thanks! Yes, Simple Truth is my favorite!! These are our favourite way to use up leftovers so that we don’t waste anything. Oh, yes, that’s such a great idea! 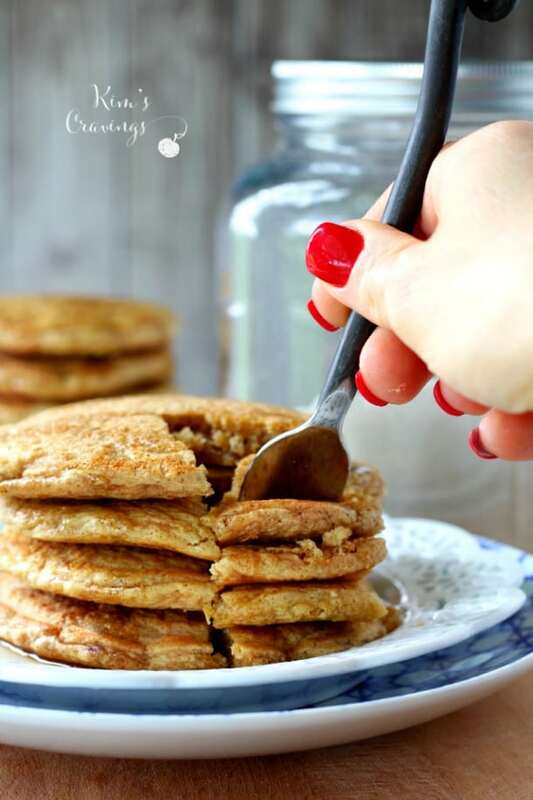 These are such a good idea for breakfast! Oh they sound delicious! So simple too! I love sweet potatoes and eat spinach, but never thought to combine the two. Looks like great dish that I’ll be trying out. Interesting recipe. It looks delicious and easy to make. What a nutrient-dense and filling breakfast. 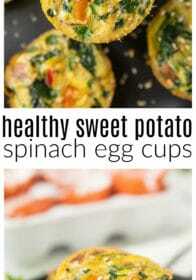 Spinach egg is my favourite and I will try your way to make this for sure. This looks super yummy. Will try them tomorrow for breakfast. What a yummy looking recipe. I like the sound of it. Your photos look so good too. This is a nice recipe! I make a potato spinach quiche which is similar! This is indeed a very healthy and tasty option to send along in kids tiffin box. Every day I struggle with ideas for school lunch. I really loved this recipe as it has egg and our family loves egg. Coupled with Spinach it becomes all the more healthy. I make egg cups all the time. However, I have never made them with sweet potatoes before. I will have to give this recipe a try. This looks so yummy. I might have to try it for breakfast tomorrow! Thanks for sharing! This looks like an amazingly delicious snack ! My daughter would absolutely love it. She loves sweet potatoes. Now this is my kind of on the go breakfast. I love the idea for making them for the kids prior to school. 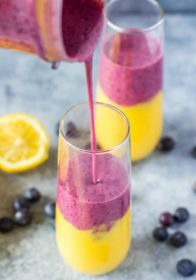 I made these this morning and they are delicious!!! My husband was skeptical about the sweet potatoes, but he loved them as well! Thanks for an awesome recipe! I’m so glad you guys enjoyed!! Thanks so much for your comment! 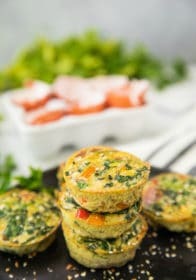 I love this idea of adding sweet potatoes in veggie quiches..will surely try this out.